A Sport Specific Yoga System for Brazilian Jiu Jitsu and Mixed Martial Arts. Phil Migliarese is a Gracie Brazilian Jiu-Jitsu Black Belt, Master Level Yoga Instructor, and the Owner of Balance Studios in Philadelphia. With more than 20 years experience in both Yoga and Jiu-Jitsu, he has worked with BJJ/MMA Champions, professional athletes, celebrities and regular folks. He has appeared on Fox, CN8, NBC, CBS, ESPN and has been featured in Grappling, Tapout, BlackBelt, Philly Fit, and on the cover of MMA Worldwide magazine. What is Yoga For Fighters? The Yoga for Fighters is a scientific sequence designed to improve BJJ and MMA movements with an emphasis on “defeating the ego”, your first opponent in any fight. 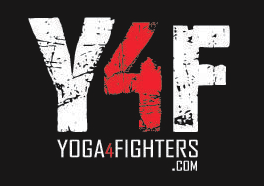 Yoga for Fighters is for everyone, but it is specifically designed for the needs of BJJ and MMA fighters. This Yoga for Fighters system is a sport specific formula for success. For years Phil has worked with the top MMA and BJJ fighters in order to put together a no-nonsense yoga system that targets the needs of reality fighters. This DVD is tailor made for fighters by a fighter. What does Yoga for Fighters provide? There is no ongoing schedule for our ashtanga yoga program. All of our yoga programs run for 8-12 weeks with a re-enroll option 6-8 weeks into the course. All of our courses fill up very quickly so make sure that you join our email list to find out when the next course will begin. We will email you a notification with prices and schedule a few weeks before the course begins.